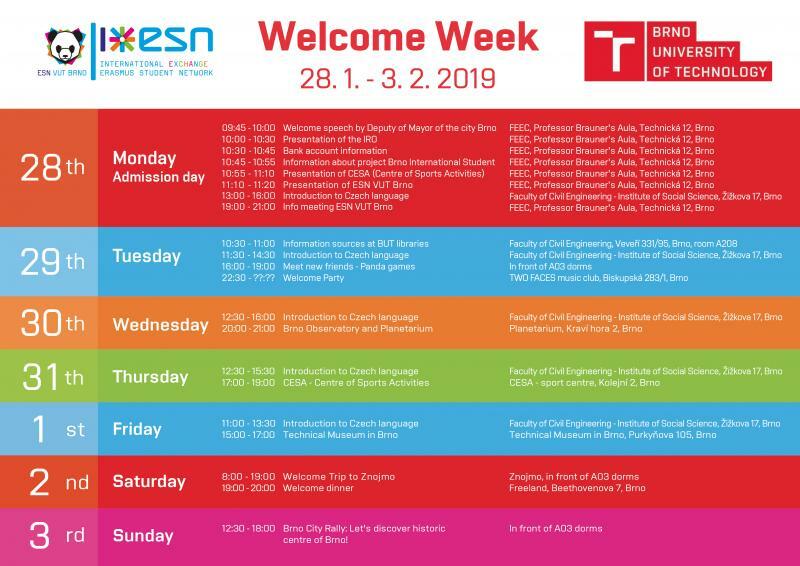 The ESN VUT Brno runs a free Welcome Week (WW) Programme together with the International Relations Department for new international students. The WW programme takes place one week before the start of each semester. The WW programme includes a Czech language course: “Introduction to the Czech language“ and Czech cultural preparation as well as sports, cultural and social events. Welcome Week will help incoming students to orientate themselves in the Czech Republic, and it is an excellent opportunity to meet staff and students at the University and get to know each other.